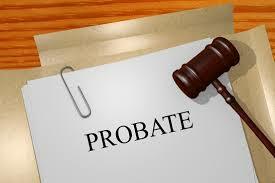 Let us start out by saying, we in no way want you or your loved ones to go through a lengthy probate process in the Court system after the passing of a loved one. This article will tell you how estate planning can help avoid that Arizona Intestate Succession process. There is often much confusion among family when a loved one dies without a Will, and there is a lot of misinformation about this circumstance that creates fear at times when the family should be able to turn attention to a grieving process – not a legal process. When there is no Will, there may indeed be problems because it is the law that determines how the estate will pass and to whom – this is called intestate succession. This may or may not be what the deceased would have wanted. Intestate succession follows a lineal descent pattern – this pattern is often the same way that many people would customarily pass their estate, such as one spouse to the other spouse and then to their children, if both spouses are deceased. Intestate succession law does not provide for who will administer an estate although there are other Arizona statutes which determine who has priority for appointment as the personal representative (administrator). Not all estates must pass through a probate process in the Court. Whether or not an estate is probated in Court depends on the types of assets, the value of those assets and the title on the assets. A Will is important to make sure that your final wishes are met; that those you wish to receive gifts do receive those gifts; and that the person you wish to manage your estate is recognized with that authority. If for whatever reason a Will was never composed, here is how the process generally works in the state of Arizona. If you die with a spouse, or a spouse with children common to that marriage, all assets go the spouse. If you have no spouse but do have surviving children, your children inherit. If you have a surviving spouse and have children who are from another marriage, the surviving spouse and the children from the prior marriage are going to inherit portions of the estate in shares that are defined by statute. Grandchildren also can inherit the share of a deceased parent. If you do not have a surviving spouse, children or grandchildren, but have living parents, your parents will inherit all assets. Moving forward beyond parents the benefactor list gets very complicated. A Chart on Intestate Succession can be found at azlegalformlibrary.com under the information section on heirs. As you can see, the value of a Will grows intrinsically as your family grows. The importance of a Will also comes into play when there are assets that are not community because some family members may feel they can legally lay claim to those assets. This can truly be jarring for all sides of your family. Arizona is a community property state. Community property and separate property are treated differently; a Will can help avoid issues with these different property classifications. The most practical way to insure your death does not create additional burdens for your family is to complete a Will now. With a Will you can make sure your loved ones spend no more time than necessary working on your estate and allow their lives to move forward in a comfortable manner.